I absolutely love everything about spring. The warmer weather, the sunshine (finally! ), the blooming flowers, and of course, the start of summertime/beach reads. There are some great ones coming out this year! 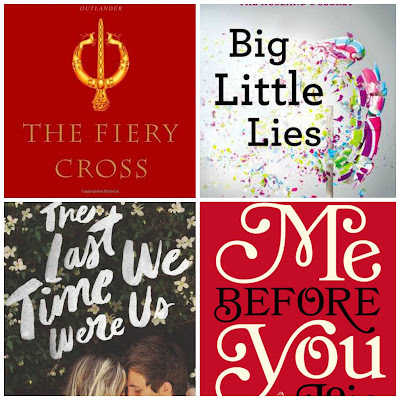 On my TBR list, I think I have a nice combination of YA review books, adult fiction, as well as some books that have been on my TBR list for quite sometime. Let me know what you think! 1. Stone Field by Christy Lenzi - I love that this book is inspired by Wuthering Heights and set during the Civil War. 2. 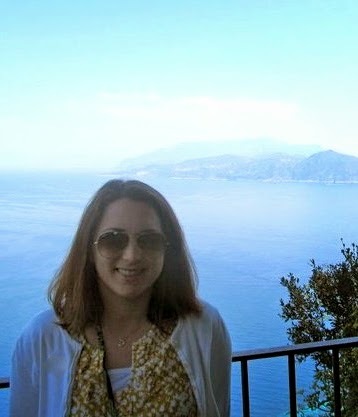 Love & Gelato by Jenna Evans Welch - You had me at gelato and summer in Italy. 3. Eligible by Curtis Sittenfeld - I have high hopes for this modern retelling of Pride and Prejudice. 4. The Unexpected Everything by Morgan Matson - I'll read anything she writes. 5. When We Collided by Emery Lord - I will also read anything she writes and I have read some awesome early reviews for this book. 6. Summer of Sloane by Erin L. Schneider - Hawaii...one of my favorite places in the world. Need I say more? 7. The Fiery Cross (Outlander #5) by Diana Gabaldon - I am slowly making my way through this series and am interested to see where it's going to go next. 8. Big Little Lies by Liane Moriarty - I enjoyed The Husband's Secret and hope to read this one next. 9. The Last Time We Were Us by Leah Konen - This one seems like a darker beach read; I like the sound of it! 10. Me Before You by Jojo Moyes - I somehow never read this book and have heard great things. Plus, I want to read it before the movie comes out. What do you plan on reading this spring? Let me know in the comments below. This meme is hosted by The Broke and The Bookish. 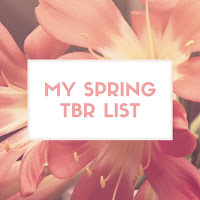 I am currently working on my list for today and I have Love & Gelato, Eligible, The Unexpected Everything and Summer of Sloane on my list too. I am excited to check out Me Before You--I hear it's a tear jerker. The movie trailer looks awesome as well. Thanks for visiting, Christina! 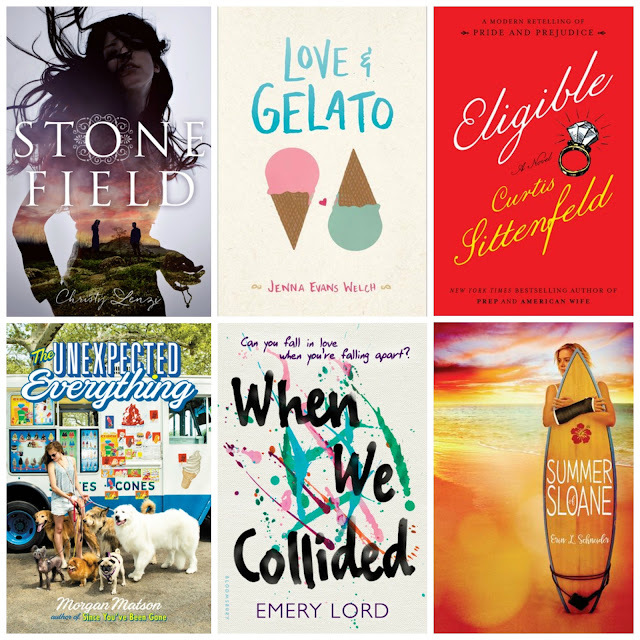 So many of your books scream summer - Summer of Sloane and Love & Gelato! It makes me want to skip spring and go straight to summer - LOL! You have a lot of great books here. I hope you enjoy them all. Haha. I'm all about those summer reads...now if only the weather would cooperate. :) Thanks for visiting, Joli. Love and Gelato!!!! I'm really excited for that one Christina! And of course When We Collided as I'm a complete Emery Lord fangirl:) Me Before You is going to be too emotionally brutal for me to handle, but I can't wait to see what you think of it! Me too! I am a huge fan of Emery Lord and excited to read that one. I hear Me Before You will gut me, but I definitely want to read it before the movie comes out. Thanks for visiting, Jenny! 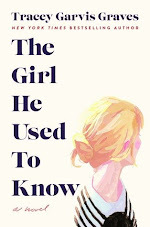 Everytime I see the cover for The Unexpected Everything I want to read it. I can't wait for When We Collided. I really enjoyed Eligible and Little Big Lies (the audio is great if you ever go that route). Great picks! I am exited to read Eligible, especially since you enjoyed it so much! Thanks for visiting, Natalie! Me too...hopefully before the movie comes out. I've heard great things. Thanks for visiting, Carrie! Ohh I just got an email for Eligible today. I can't freaking wait! Nice! I hear it's an awesome read.I can't wait to check it out. Thanks for visiting, Joy!